Illinois is ranked fifth in the nation for employment opportunities for chefs and head cooks by the Bureau of Labor Statistics. There are over 27,000 eating and drinking establishments in state bringing in almost $24.5 billion in sales. By 2026, there is expected to be 41,300 jobs in the field, making a strong demand for educated culinary professionals. Earning a culinary degree from a reputable educational institute is important. Hands on experience, professional staff, internship/externship experiences, and student-operated restaurants are key to a quality program. We created this list of the top 10 best culinary schools in Illinois based on the criteria above. Many programs in our list are accredited by the American Culinary Federation and all have a solid reputation in the industry based on our research. The accredited culinary program at Richland Community College has a wide variety of options for those who want to work in the field of culinary arts. Students can earn their AAS degree in Culinary Arts which includes a practicum experience and coursework in human relations and professional speaking. Certificate programs can be earned in less time and include fundamental coursework as well as specialty courses related to the program of study. This hands on program teaches students how to operate a variety of state of the art kitchen equipment and master basic culinary techniques. The Bistro Five Thirty Seven offers students additional opportunity to practice their skills and gain hands on experience in a professional environment. The Bistro Five Thirty Seven is open Tuesdays and Thursdays and serves both lunch and dinner. Southwestern Illinois College features a culinary arts and food management program for students who seek entry level professional positions in the culinary field. This top accredited culinary school offers both degree and certificate programs taught by experienced faculty who have worked in the restaurant and hospitality industry. Students have the opportunity to learn in a hands on environment with modern kitchen equipment and work space to allow students to practice their technique. Students who want the opportunity to engage in further professional development opportunities can participate in the Culinary Arts Club which competes in local and national competitions. Culinary students at Illinois Central College have the opportunity earn their AAS degree in a state of the art kitchen environment, allowing students to learn and demonstrate their skills in a professional kitchen. The 67 credit hour program includes coursework in foodservice nutrition, hospitality management, and cost control. An internship is required as part of the AAS program, providing students with professional work experience to expand their portfolio. The culinary program at ICC also provides students with the opportunity to work extracurricular activities and catering events to get a variety of experiences. Moraine Valley Community College is a top accredited culinary school offering an AAS degree in Culinary Arts for students who are interested in entry to mid-level culinary positions. Students will learn skills and techniques that will help them become successful in a variety of settings from cruise ships to health care. Coursework covers a variety of areas such as sanitation, food preparation, management and menu planning. This 64 credit hour program can be completed in two years of full time study. 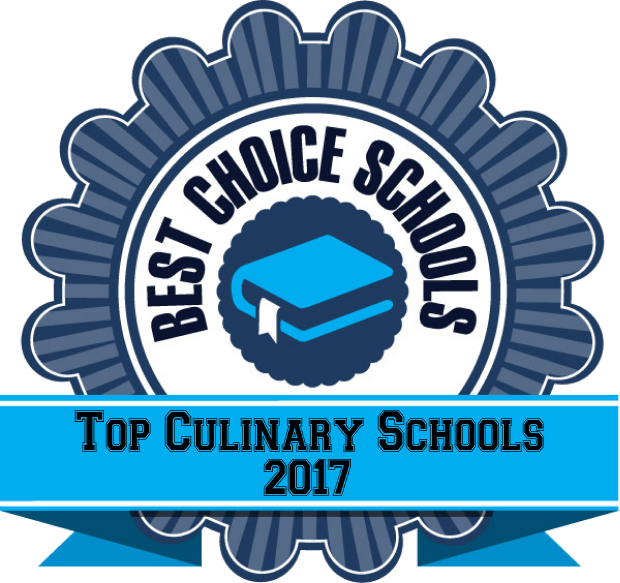 Joliet Junior College is a top award winning culinary school accredited by the American Culinary Federation. Potential students have the opportunity to attend “Chef for a Day” where they can experience what it is like to attend school as a culinary arts major. Advanced culinary students run the on campus restaurant, Saveur. Meals are prepared from scratch and served by students, giving them the opportunity to learn and demonstrate their skills in a professional work setting. JJC features both a Competitive Cooking Club and an Epicurean Club which allow students to participate in special events, tours, and competitions. Students receive hands on instruction by professionals with over 140 years of experience in the industry. The College of DuPage offers culinary students an exciting educational experience with internship opportunities and professional instruction. The program is located in a 60,000 square foot facility that features a boutique hotel, two student operated restaurants, retail outlet, and state of the art kitchen laboratory. The Wheat Café is a casual dining kitchen that students work in once they have completed their skills training. Students then advanced to work in the Waterleaf restaurant to work in a fine dining environment. The Culinary Market is a retail shop that students stock with made from scratch items such as soups, sandwiches, salads, and baked goods. Baking and Pastry Arts students work in a commercial bake shop during the program and learn both basic and advanced techniques. The International Culinary School At the Illinois Institute of Art is located in the heart of Chicago and offers students exciting opportunities to interact and share their culinary talents with the community. Whether students are preparing meals to support the transition from homelessness to self-sufficiency or serving food to raise money for the food bank, students and faculty are getting involved to make a positive difference in the community through the culinary arts. The AAS degree program teaches students culinary preparation techniques and business management skills to become successful in entry level positions within the culinary industry. At Kendall College, culinary students have the opportunity to earn their degree alongside students from over 50 different counties at one of the top culinary schools in the country. Students are able to earn their associates degree in just seven quarters if attending full time by completing a rigorous curriculum that includes practical experience and top notch instruction. The accelerated associate degree program is ideal for students who have earned a bachelor’s degree in another field but have discovered a passion for cooking and would like to get their culinary arts degree in just five quarters. Hands on learning is an exceptional environment is key in this top culinary program. The on-campus student run restaurant is both Michelin Guide recommended and Zagat rated. Learning environments are almost as diverse as the student population including a sustainable garden, café, chocolate/sugar kitchen, outdoor bread oven, pastry kitchen, and quick service restaurant. Lincoln Land Community College features an extensive offering of culinary programs from associate degrees to certificates of completion. The associate degree program in Culinary Arts is a 60 credit hour program that includes coursework in nutrition, food production, sanitation, and purchasing. An internship is required as part of the program to gain professional experience. Students spend time working in the student-run, Bistro Verde Café. Students prepare soups, salad, sandwiches, and baked goods for people to purchase in carry out style in the fall semester. During the spring semester, Bistro Verde Café operates as a sit-down restaurant. LLCC has state of the art kitchen facilities for students to practice and perfect their technique. Washburne Culinary and Hospitality Institute and French Pastry School is one of the oldest culinary schools in the country, offering a wide variety of program options for culinary students. Faculty are experienced professionals in the industry and offer mentoring and advice to students so they can become successful in the industry. Courses are rigorous in nature and expectations are similar to what students would expect in a professional work environment. Graduates are prepared to work in some of the finest restaurants and dining establishments in the country.